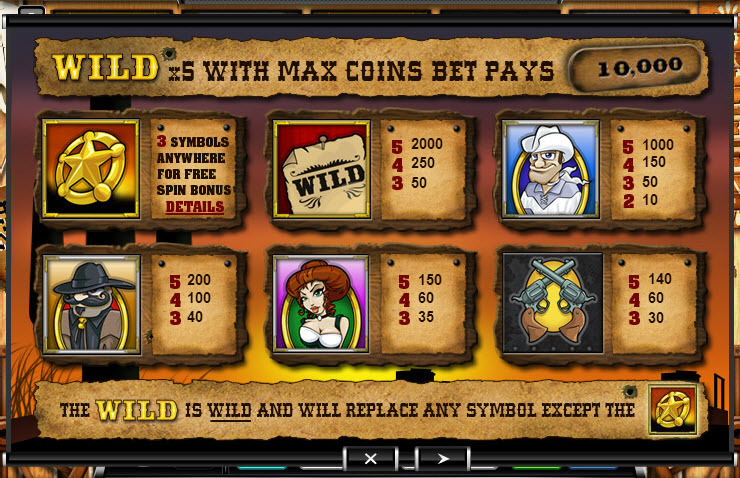 Overview: Take a trip back in time with Free Spin Saloon, a 5-reel, 25-line video slot game with a Wild West theme. 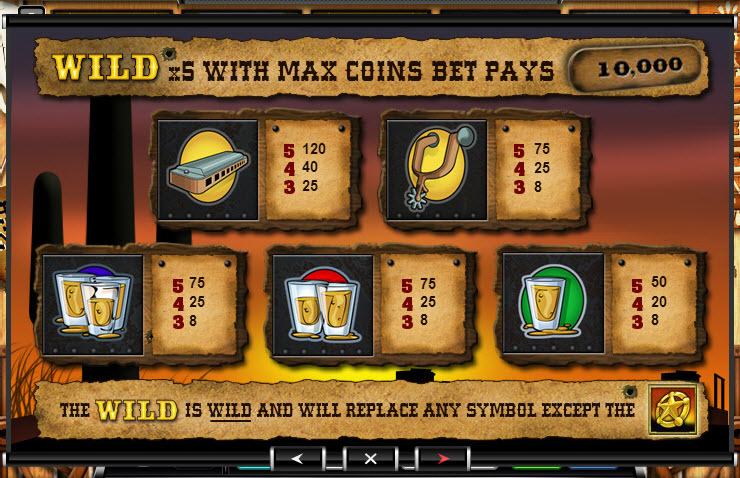 String together the right combinations of spurs, six-shooters and sumptuous barmaid symbols to earn enough cash to buy the entire saloon a round or two. Gather up five Wild symbols while placing a max bet of five coins and earn the top prize of 10,000 credits on a single spin. 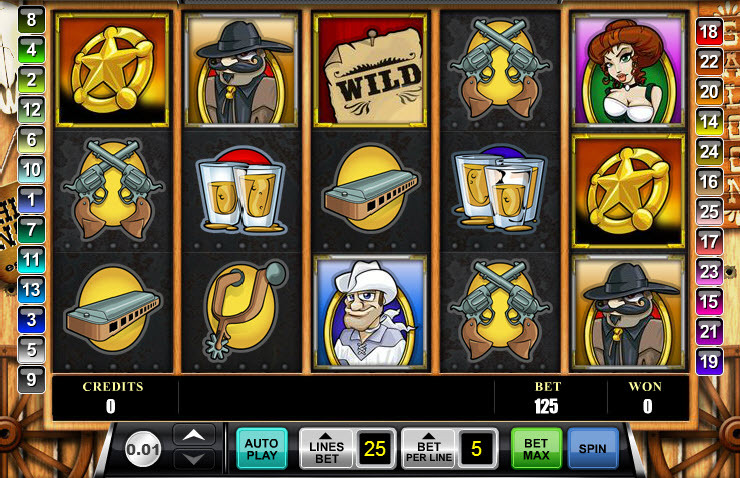 Rustle up three or more Sheriff Stars anywhere on the reels to step inside the Free Spin Bonus. 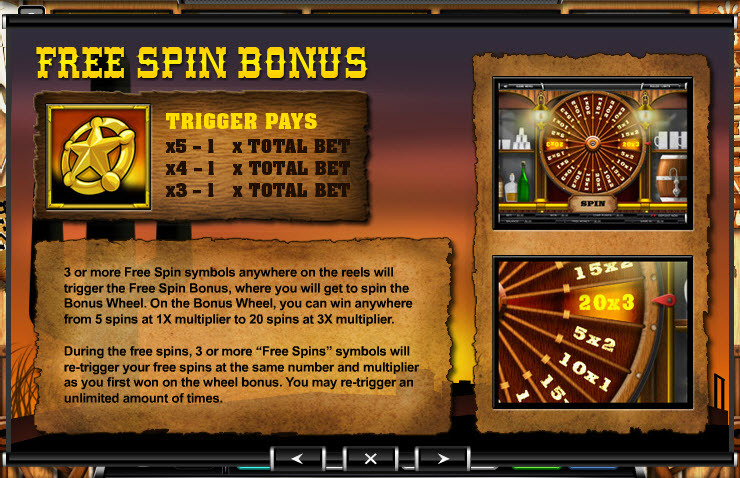 Once in this bonus round, spin the big saloon wheel once to determine how many free spins you'll get and what size of multiplier will be applied to each of those bonus spins. 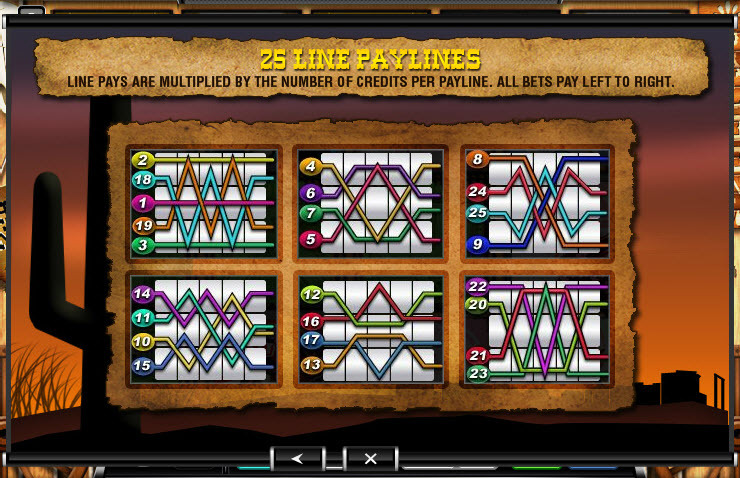 The number of spins range from a minimum of five spins with a 1x multiplier to a maximum of 20 spins with a 3x multiplier. Get three or more stars during one of your free spins and restart with the same number of free spins and the same multiplier. There is no limit to the number of free spins you can win once in the bonus round. Similar Slots: If you like Free Spin Saloon, you might like these other slot machines from Ace Gaming: Bar Room Blast, Cleopatra's Bonus, Crazy Coconuts, Roughneck Reels.